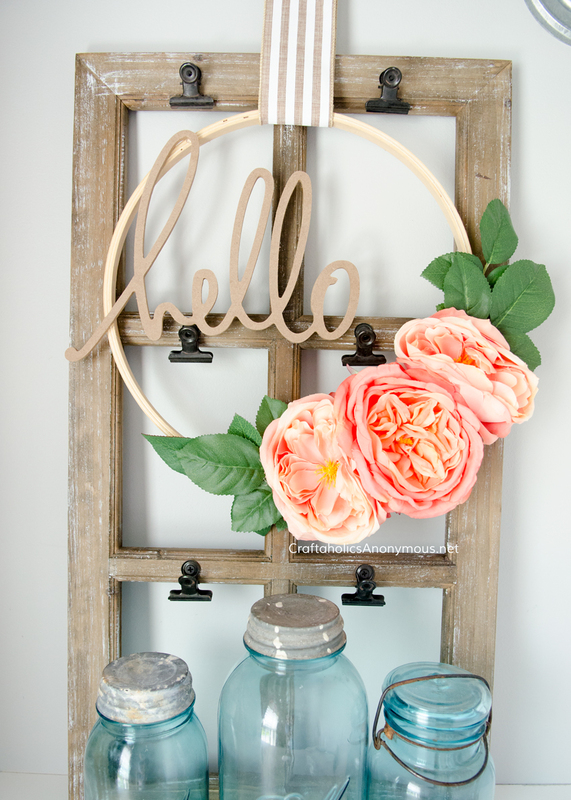 Ok friends, are you ready for the CUTEST and EASIEST DIY Floral Embroidery Hoop Wreaths ever?! Because I have two adorable wreaths coming your way today! 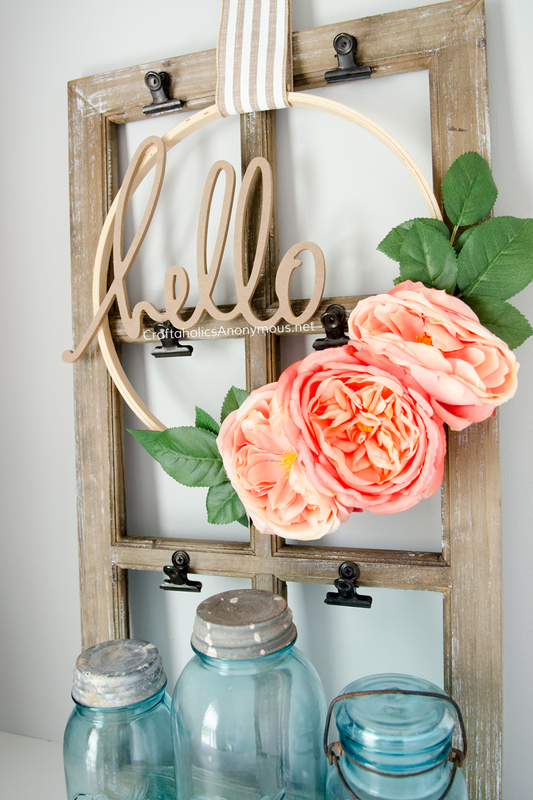 Umm, hello amazingly cute wreath! 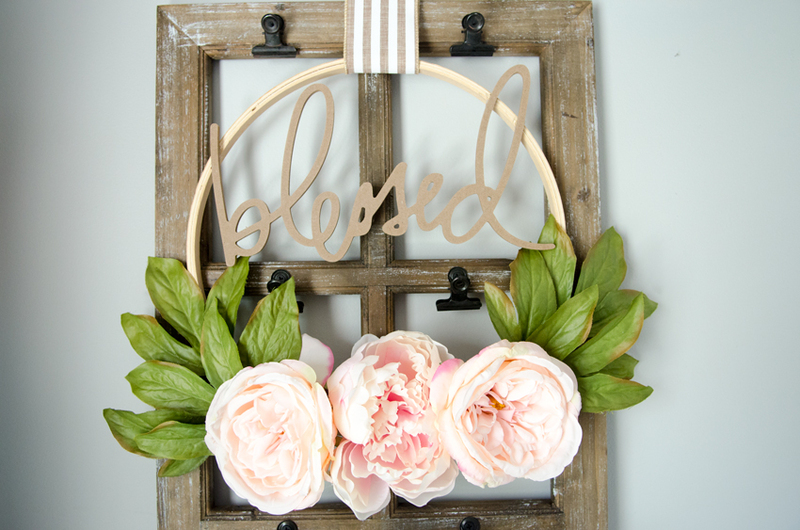 I am seriously in love with this wreath. Borderline obsessed. 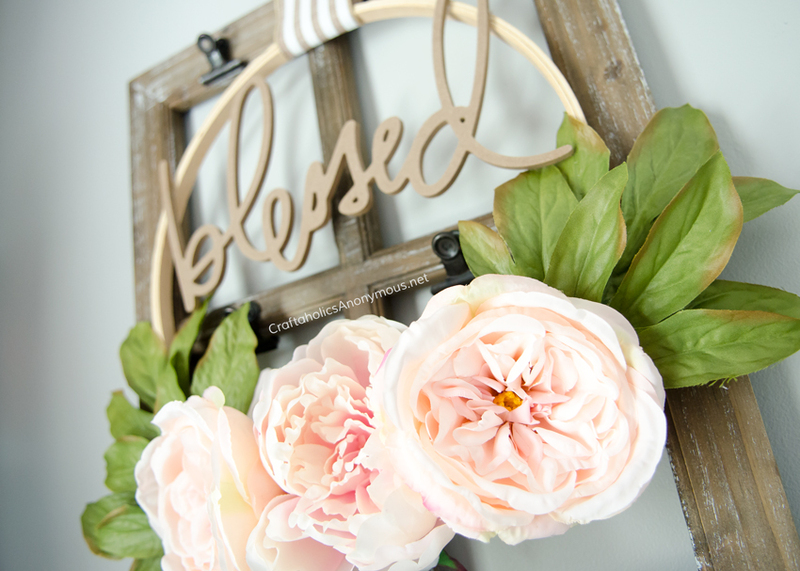 I saw those pretty faux flowers in Michaels when I was shopping for this month’s Michaels Makers post and had to have them! And check out that awesome ribbon? I had to share the ribbon that on Instagram! 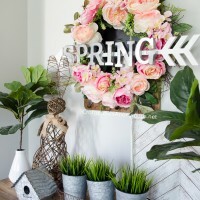 The coral flowers are perfect for Spring or Summer. I believe the center flower is some sort of rose and the two side flowers are peonies. 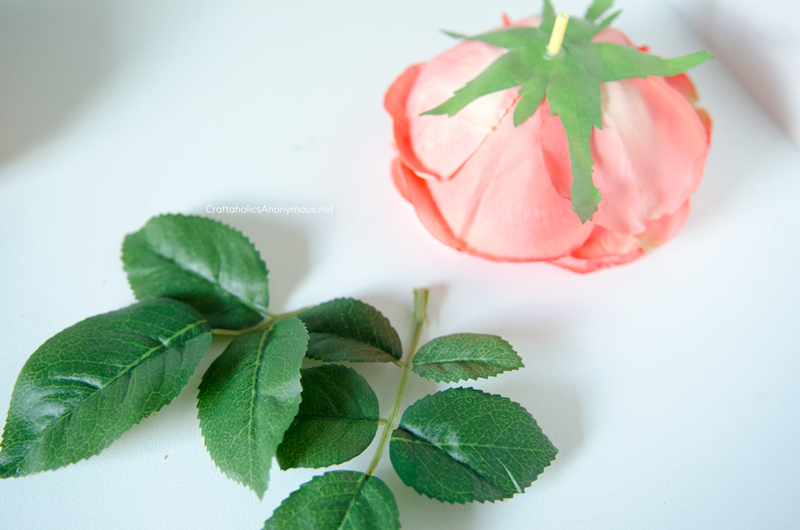 The leaves are from the rose stem. A little upclose of the rose. The center is so pretty! 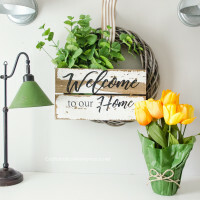 I loved my Hello Wreath so much and it came together so quickly, I whipped out a second wreath in a matter of minutes! 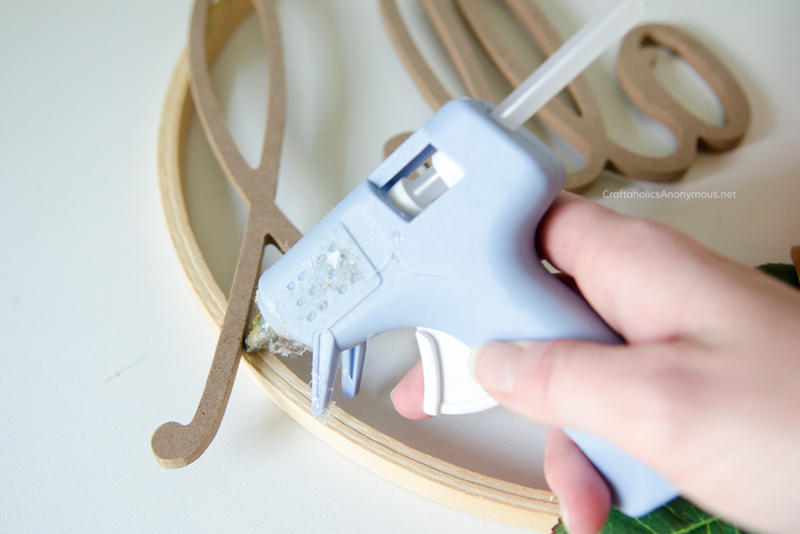 Seriously, these easy embroidery hoop wreaths are simple and cheap to make. I am definitely a fan! 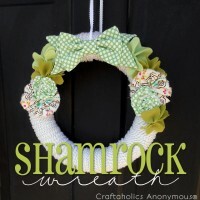 I think I am going to put this wreath in our master bedroom. In case you were wondering, the fun frame featured in the photos is also from Michaels. It’s actually a photo holder. But works great as a wreath holder too. ha! Michaels has some GORGEOUS faux flowers right now! They are very realistic and stunning. It was fun to craft with them. 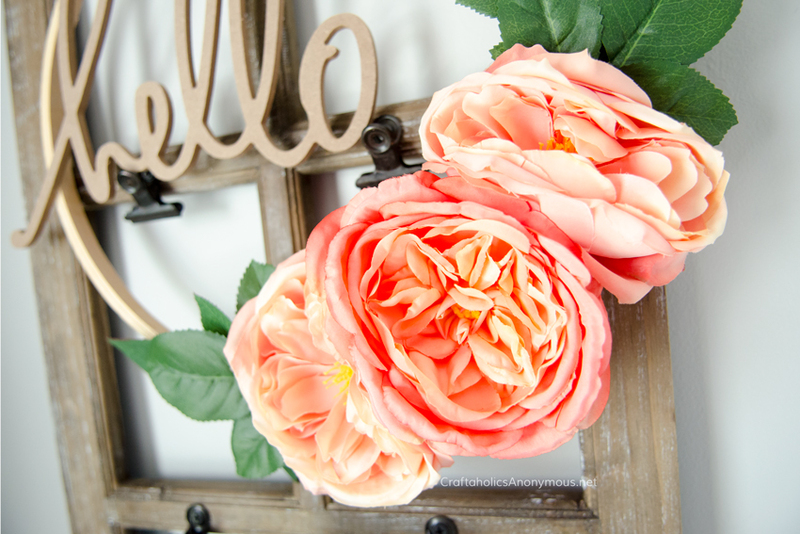 Remove the flowers and leaves from the stems of your silk flowers. 2. 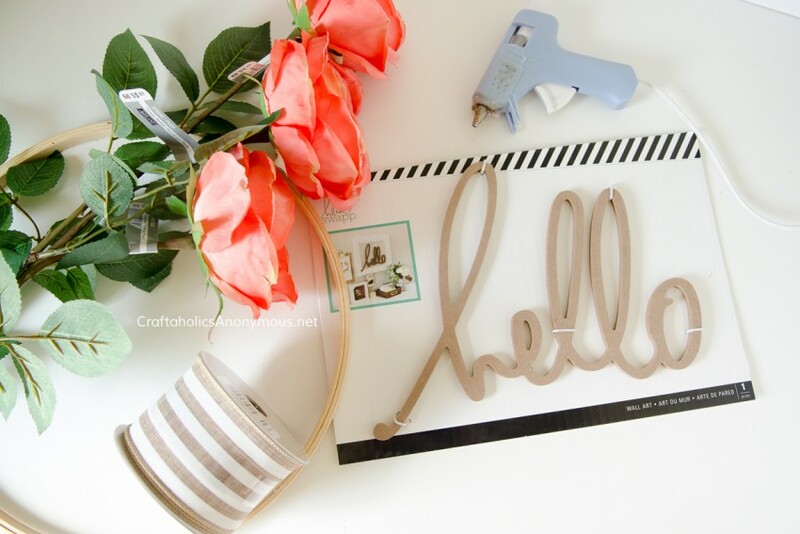 Hot glue three large blooms to your embroidery wreath in a cluster. 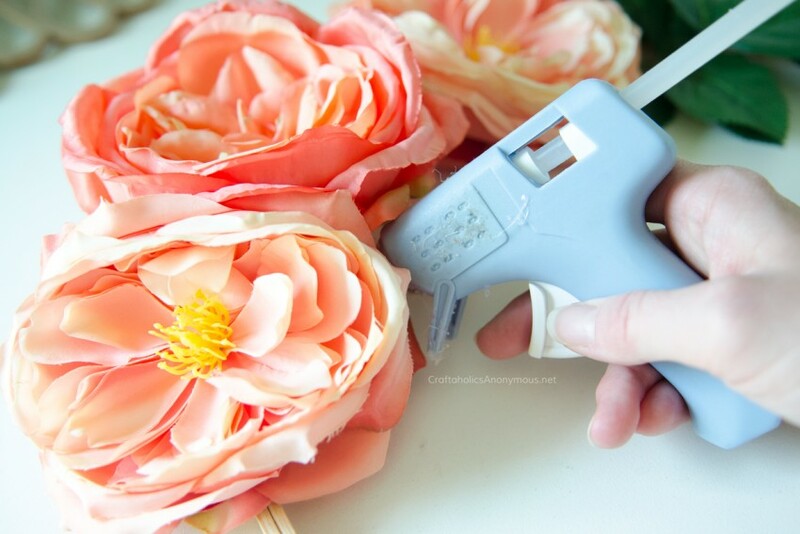 Arrange leaves of both sides of the flower grouping and hot glue in place. 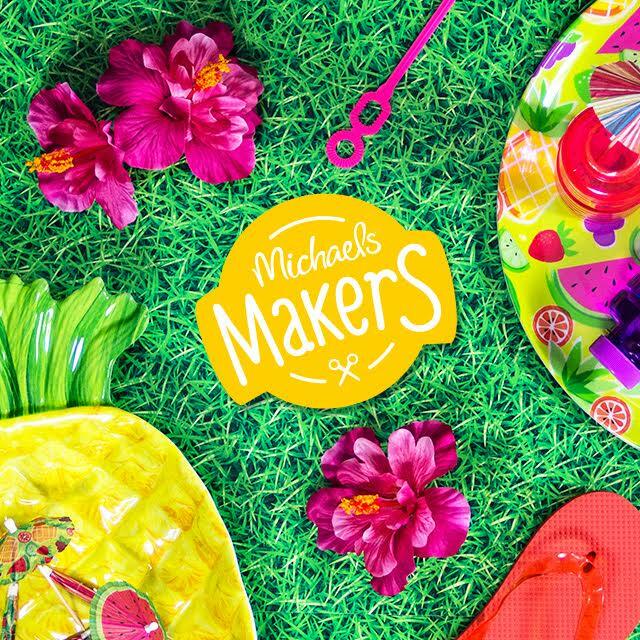 If you’re looking for pretty blooms or decor, Michaels has everything you need to MAKE summer fun! 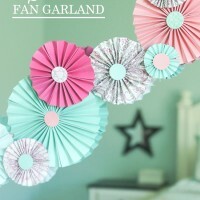 More Fun ideas from other Michaels Makers! This looks so pretty! I love all your posts – thanks for sharing another great idea. Where did you find your Heidi Swapp wood word? I’ve looked online but can only find sets of 4 that are much smaller than yours seems. Thanks! 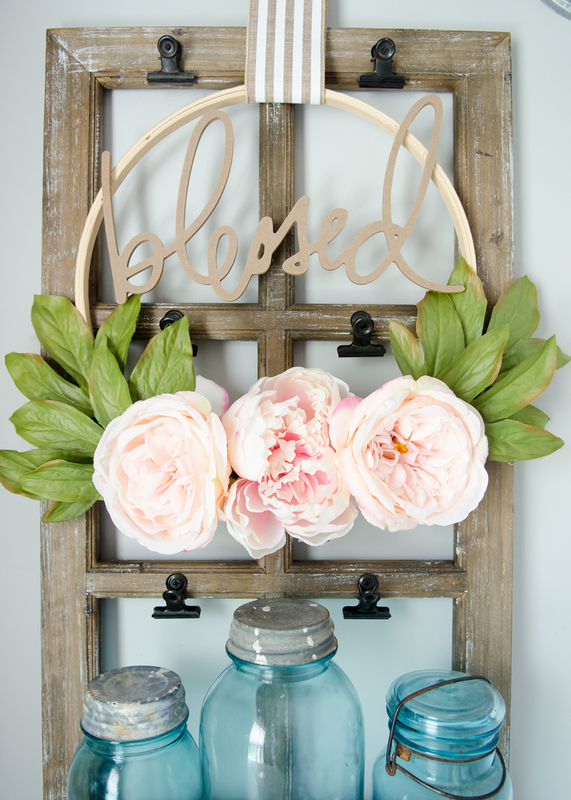 Do you think this would hold up hanging on front door (outside)? I don’t think it would hold up well against the elements outside.